Holy Land Tours happen twice a year, during the month of May and October. We visit places like Jordan, Egypt, Israel, and Palestine. This is not an ordinary tour, but a spiritual trip. This gives an opportunity for the people to travel along with Brother Stephen, and sometimes with all the members of his family. There is great joy in travelling and praying with him. The crew is well attended and cared for during the journey. It’s a privilege for the tourists to listen to Brother Stephen who tells the people about the importance of different places where Jesus Himself walked along with His disciples. Places such as the Sea of Galilee, Mount Carmel, Jerusalem, Gethesemane, Jericho, Bethlehem, the Dead Sea, Golgotha, Capernaum, Mount of Beatitude etc., are visited to. Many miracles have happened for those who have travelled with Brother to the Holy Land. 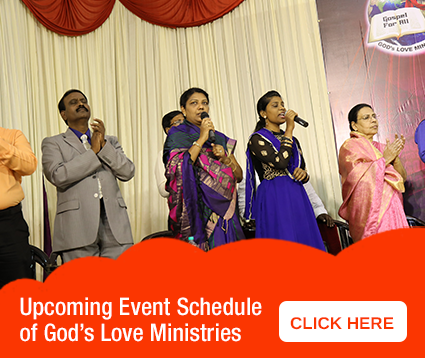 To share a testimony, A couple from Bangalore called up to say, that long awaited promotion, was granted to his wife employed in Government service according to her expectation, as soon as they returned from the holy land tour. Praise be to God. Many who have travelled with Brother Stephen to the Holy Land, have experienced the touch of Jesus, through the prayers and supplications made by Brother Stephen. The greatest ministry is the Prophetic Word that is said by the founder to each person or family. People from across the world who come there experience a divine transformation from the Lord. Therefore we encourage you to avail this rare opportunity of travelling with our Beloved Brother Stephen, to the Holy Land. Enjoy your travel with Brother and experience the joy of walking where Jesus walked on the face of the earth. God bless you.